Nominate 10 bloggers and notify them! Do you often wear your hair up or down?It really depends on the day. If it’s freshly washed, usually half up, half down. 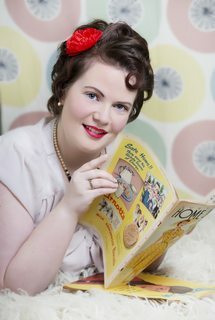 Besides blogging, what do you like to do in your spare time?Spend time with my husband, watching vintage films, period dramas, be creative, and op shopping. Toilet paper. Are you on team over or team under (for further classification, how do you position it on the holder)?Team over, but I’m a convert. I used to be team under. Do you say any words differently from your significant other (or anyone else you know if you are currently single)?You bet. I say ‘char-nce’, ‘car-stle’, ‘dar-nce’, ‘Frar-nce’, ‘ar-nswer’. He says them without the ‘r’. I also say ‘yog-hurt’ and he says ‘yo-ghurt’. Currently, what is your favourite beauty brand?In terms of cosmetics, it’s a tie between Chi-Chi and Australis. In terms of skincare, I’m loving Sukin and Lush. Favourite TV show?Nope, no favourite TV show. I watch a lot of Netflix now though, and I’ve seen some TV in my time, but I can’t really pinpoint a favourite. What’s one make-up palette that you can’t live without?This doesn’t apply to me. I can live without make-up. What is one thing you have learned from blogging?Don’t let distractions get in the way of hard work and dedication. Summer will be coming to a close next month…are you sad to see it go? Or, are you over it and really looking forward to the new season?I’m not in the northern hemisphere, so our seasons are reversed. I’m glad to see the end of winter, and even happier to have summer on our doorsteps! Short and sweet answers from me today. I’m not sure why, usually you can’t shut me up, but I think the heat wave this week sapped my energy, and therefore my brain cells. 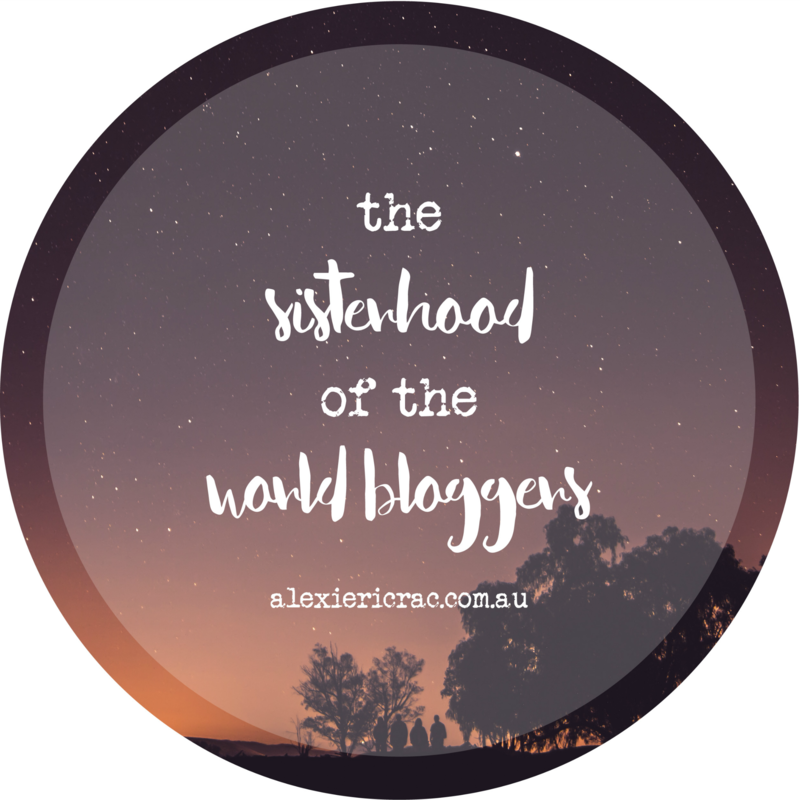 Blogging is definitely something that unites people all across the globe. As such, my nominees are spread far and wide. There is no pressure to answer these questions, I know that everyone is busy or Q&As might not be your thing, but I love learning more about the people behind the blogs. If you could live in any time in history, when would you live? If you were told you could only do one thing for the rest of your life, what would that be? Would you prefer going to a live theatre show or a live concert? How many people live in your current abode? Do you prefer the city, the country, or the ocean? Reading the About pages on blogs is something I do with every blog I visit, I’m looking forward to learning more about each and every one of you. If you’d like to do this Q&A and I haven’t nominated you, please feel free to do so, and to let me know in the comments!